Website FX created a single page business card style website. 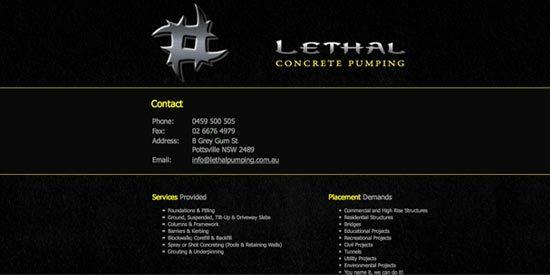 The client requested a simple site that wasn't complicated and displayed their contact details. Website FX used the latest in technologies and delivered a site that has newsletter subscriptions, a restricted client login area and most importantly, online event booking functionality. 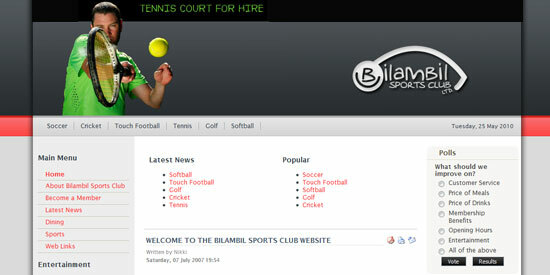 Bilambil Sports Club has requested a site that will allow the club to promote the sports and entertainment at the club. 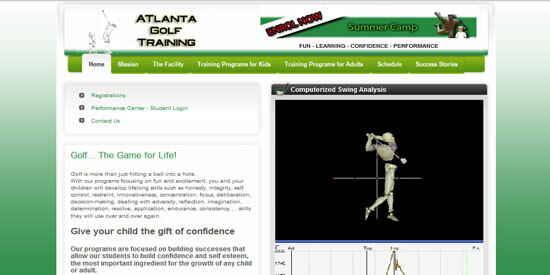 A content management system has been used to allow the club to update the site themselves. 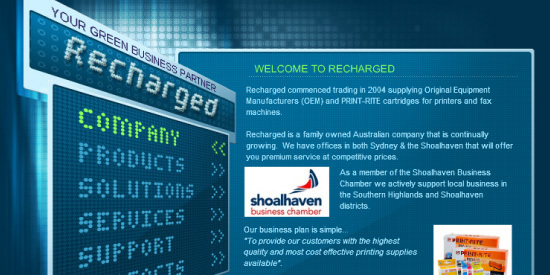 Recharged requested the experience of Website FX to customise a Flash based website. The site needed to clearly identify contact information for both of it's stores while maintaining a modern and high tech appearance. 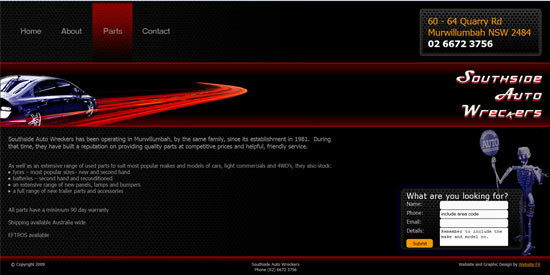 Southside Auto Wreckers requested a site that would appeal to a male audience. 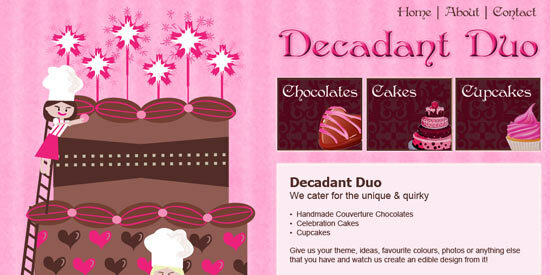 They wanted a simple site that encouraged viewers to either phone or email. They did not have any major ideas for the site and allowed Website FX to design the site and the branding from scratch. 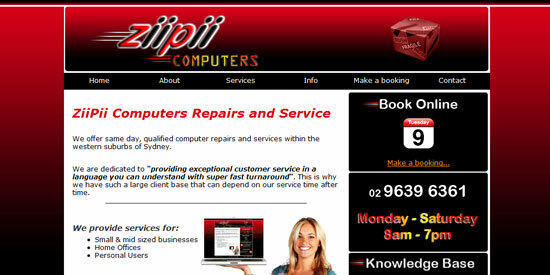 Ziipii computers needed a website that was clear and informative. They also wanted a online booking feature that accomodated different types of clients. 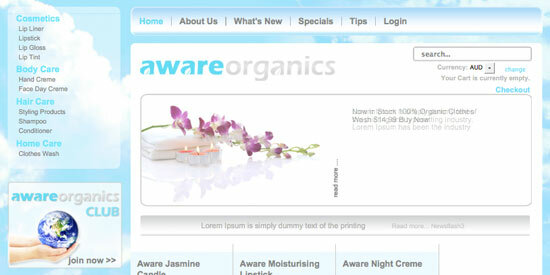 All aspects of web and graphic design were up to the discretion of Website FX. 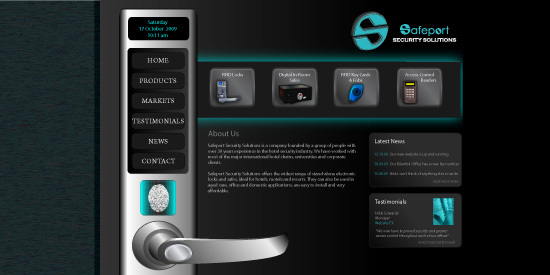 Safeport Security Solutions website is designed to be impressive while being user friendly. They did not have many demands but wanted to be able to update the site themselves once completed. Joomla! CMS system was used for its relatively easy usabilty for the client. 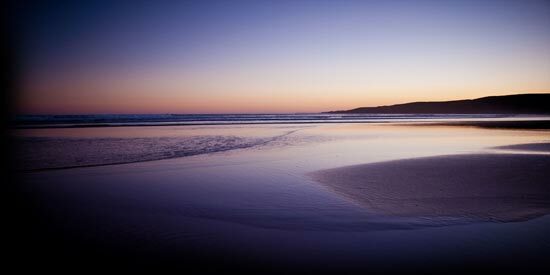 This is a personal Adobe Flash based website for Nikki Edwards. 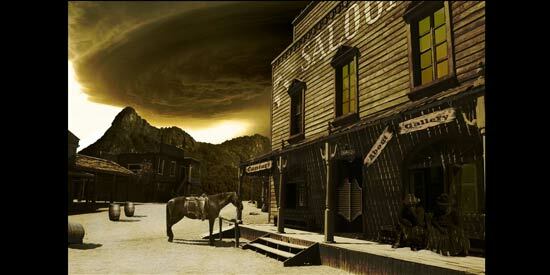 The purpose was to demonstrate the high level of image manipulation skills and to work outside the square when it comes to user interface concepts and delivery.